Kraemer asserts that CrossFit prescribes the same load to all athletes. In fact, CrossFit scales each workout to an individual’s capacity. Contrary to Kraemer’s allegation, CrossFit does not practice universal load prescription. Instead, CrossFit scales load, speed, intensity, complexity, etc. to the level of each individual. On the contrary, CrossFit does program many workouts with prescribed rest periods. Consider Fight Gone Bad, The Ghost, Tabata Something Else, or even this unnamed workout from May 21, 2014. Why classify the calisthenics and running as a “fitness test,” but not the lifting? Apparently Kraemer does not think that strength is a component of fitness, which leads to the next question: Has the NSCA defined fitness yet? How are they testing fitness without knowing what it is? Finally, Kraemer concluded “exercise intensity and load should be prescribed on an individual basis to avoid injury and extreme muscle damage.” In other words, he agrees with CrossFit’s advocacy of scaling, though he doesn’t acknowledge it. 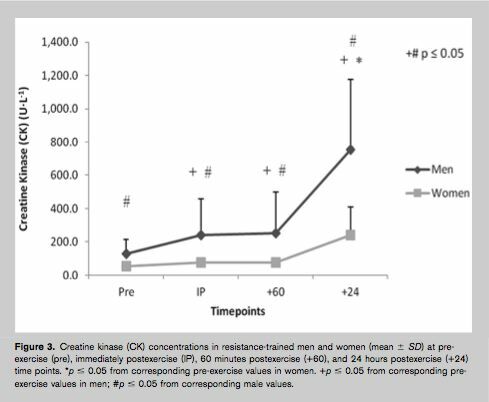 In Effects of resistance training fatigue on joint biomechanics, Kraemer discusses the form in two sets of 5 bodyweight squats, one before the modified Linda, and one after. The subjects squatted deeper and with a more upright torso before the workout. This is contrary to the mid-workout findings discussed above, for unknown reasons. Though it should not surprise anyone that beginners had trouble doing air squats after doing 55 reps each of back squats, bench presses, and deadlifts for time. 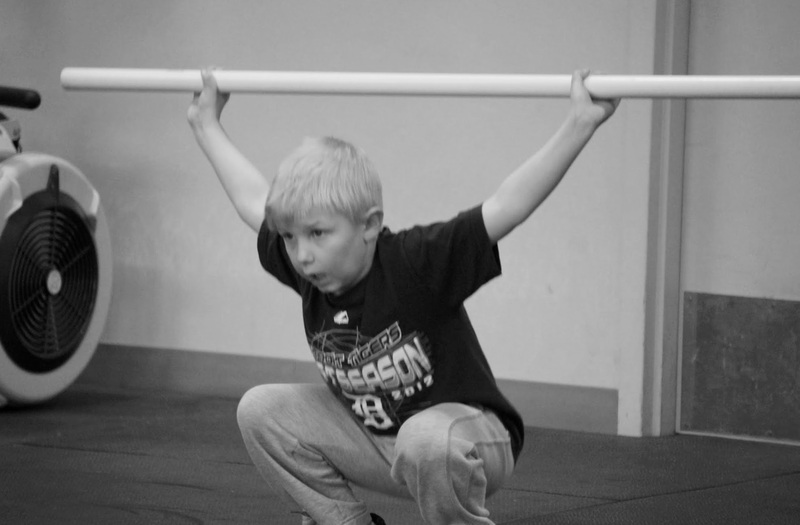 As with the weighted squats, “the subjects were given no instruction as to exactly how to perform the squat exercise.” How would some simple coaching have affected their squat form? One of the most pernicious problems with flawed studies is that future research cites them as fact, spreading the misunderstanding. The only source that Kraemer cites to support this sentence is the CHAMP paper, which contains no data. Yet by claiming the existence of “reports” and providing a citation, he establishes the facade of evidence. Readers who haven’t read the CHAMP study may conclude that there actually are credible reports. How does the NSCA know that they’ve “maximized” physiological gains? That would imply it’s impossible for humans to achieve better results than what is achieved through the NSCA’s programs. Who could possibly substantiate that? Despite the NSCA’s claims of maximizing human potential, they don’t seem to have a logically consistent standard for squats. The study reports that “During 1RM testing, the subjects were asked to squat to parallel (90 degree knee flexion).” If an athlete’s knees move forward at all in the squat, which is necessary to maintain an upright torso as the NSCA prescribes, then squatting to parallel is deeper than a 90 degree knee bend. This is why CrossFit uses the relationship between the hip and the knee, and not knee angle, to evaluate when an athlete has passed parallel in the squat. Yet the NSCA acts as if “90 degree knee flexion” and “parallel” are synonymous. The researchers also found higher cortisol levels immediately post-workout than what has been found from resistance training with longer rest periods. Would the higher post-workout cortisol levels in this study have anything to do with the fact that the subjects had no experience with this style of training? Despite the fact that the workout resulted in lower cortisol levels the next day, Kraemer raises concerns about CrossFit causing harmful levels of cortisol. Kraemer’s idea for further research is to program CrossFit workouts “without programmed rest days” in order “to determine whether a chronic elevation of resting cortisol concentrations occur.” Again, it’s hard to see how this research is relevant to CrossFit. CrossFit includes rest days. Kraemer is imagining a straw man program, instead of testing what CrossFit actually recommends. This begs the question: how should someone go about obtaining this “fitness” other than performing similar workouts with gradually escalating levels of intensity? What evidence would support this assertion? The cortisol levels the day after the workout were lower than they were pre-workout. If this trend continued, CrossFit would be an effective agent for lowering cortisol, not raising it. Kraemer’s conclusion does not follow from the data. He has not tested a periodized routine with HI/SR and compared it with a non-periodized routine, and thus cannot make any conclusions or recommendations regarding this decision. In Part Four, I cover Kraemer’s claim to have first described CrossFit’s methodology in 1987. Going to get flamed for this , but here goes…. 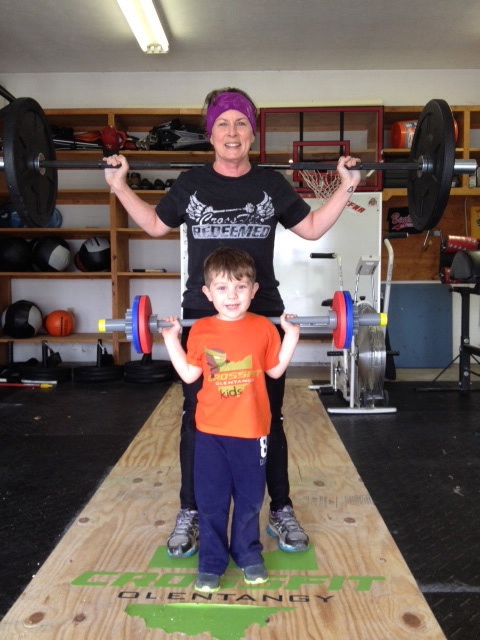 When you decide to build something like Crossfit….. You only have two choices. Do you want an industry or a fad. Industry = Slow organic growth. Repercussions for those who step out of line. To develop a discipline that will stand the test of time..
Fad = Take a good idea and run with it. Fast and loose. Letting anyone play. This guy has taken the cheap shot everyone knows was coming. Because despite what is preached at the top level. This is NOT what is being preached in the boxes and everyone knows it..
His motivations are irrelevant. He is just doing what a lot of academics do. Get a pre conceived idea and design a study to try and prove that idea right. Here is the REAL question…. Is there anyone at top level CrossFit management ready to turn all perception ( Academic and public around ).To do this will mean to stop the ship and change course. If fear is driving the ship. I see an iceberg coming. . Your response confuses me. You admit that Kraemer practiced bad science, but turn it into CrossFit’s fault. How is CrossFit’s business model relevant to the NSCA’s knowingly publishing false information? Could Kraemer and the NSCA not do the same thing about any competing program, regardless of its business model, safety, or efficacy? Well, I suppose that Kraemer wouldn’t do this with a less successful program. So, in that regard only, I concede CrossFit’s business model is relevant. It allowed CrossFit to make enough people fitter that the NSCA took notice. As for your idea that there are no “repercussions” for CrossFit gyms that don’t pursue excellence, you’re missing the most obvious one. If a gym doesn’t provide a uniquely attractive service to its clients, another may do so in its place. Your comment about “industry or fad” is interesting and seems to parallel what has happend in the vibration area. As you know, many studies were done on vibration platforms and published in “peer-reviewed” journals (including the one Dr. Kraemer is Editor in Chief of) that did not test the platforms for reliability before doing the studies and publishing the results in “peer-reviewed” journals. With a company like Power Plate having been/being a “sponsor” of the NSCA, it really makes you wonder? How could all the esteemed PhD reviewers “miss” something like testing reliability? Would it fit under “conflict of interest” or “just making a buck” for the NSCA? I have been through exactly what you are going through. In our case fake reports of brain damage, eyeball damage, spine damage and joint destruction was reported by “top’ academics . In papers and exercise mags. 10 years ago. ALL PROVED TO BE FABRICATED . And even the worse predictions never came true. So they faded away into obscurity. Cross-Fit has painted a huge target on its own back. It now has a reputation that is not the best. It has a fanatic core that was a marketers dream, but a scientists worst nightmare. And the scare. mongering bad science tactics used by Kramer etc…. get traction because of that reputation. You cant just have a cry and put it all down to “anti-competitiveness ” As I know you do not live in a bubble and must be fully aware of public awareness of Cross-Fit safety issues. Kramer is operating out of fear. So fear is his best weapon. .
” As for your idea that there are no “repercussions” for CrossFit gyms that don’t pursue excellence, you’re missing the most obvious one. If a gym doesn’t provide a uniquely attractive service to its clients, another may do so in its place. Sorry but simply using ‘ ” the consumer will vote with their wallets” if a box is unsafe is not leadership or discipline. Note” The BOX’S here in NZ numbers are already dropping. And no-one has heard of Kramer or the NSCA. He is a small part of a bigger trend. If you do not realize this is an actual fight for CrossFits very existence. You should not be playing the game. .
1. Please substantiate your claim that “The BOX’S here in NZ numbers are already dropping.” Nothing we are aware of indicates anything like this. 2. Please substantiate your claim that CrossFit (you spelled it incorrectly as Cross-Fit) has “safety issues.” Are you aware that this “reputation” that CrossFit is dangerous is based solely on the statements of our competitors like Kraemer and not fact? 3. Please explain how out affiliate model is “unsafe and not leadership of discipline.” You seem to be implying that it is dangerous for us to allow less experienced or competent trainers to become affiliates. This makes sense considering you think CrossFit is dangerous. This, however, is just a myth perpetuated by academics with an investment in the success of the traditional fitness industry. As it turns out, the outcome of allowing people with little experience to start training others is a net positive. The risks associated with CrossFit, even with poor form, programming, or coaching, are low. Yet the chance of receiving positive health benefits are still extremely high. For a society in desperate need of improved health and fitness, our affiliate model is a no-brainer. You are on the defensive. And rightly so. But I have neither the time or inclination to educate you on my history and fight with the “academics”. / ” bully boys club “. to show you I am not your enemy. I am simply in the eye of the storm. Giving you a perspective free of ulterior motives. I run a busy private mortuary and design exercise equipment for morbidly obese people. I seriously doubt we have any conflicts of interests. But many shared goals. If you ever want to listen , and not just attack. I am the easiest person to find. Lloyd, good points being made but you’re not looking at the situation from Crosfit’s point of view. You have to start with the belief that crossfit is not only a great, safe, amazing way of working out; but that it is the best, and only way to workout. If you start there then it is easy to be super defensive about anyone suggesting something different. Realize that Cross-fit doesn’t survive if it is just another decent way to get in shape. They have to be something extraordinary or they can’t charge 150 a month when La is charging 10. Unfortunately this will also lead to their destruction, if you start out toting eliteness” but then cater to everyone then everything gets diluted. If it gets diluted then you can’t convince people to pay for something unique because it no longer is. I hear you on the decline in box revenue though, if you want proof just search krossFit in google trends and see where it’s headed. It’s going to be much worse in a month now that the games are over as well. Side note my spell check just won’t help me out with the CrossFit spelling, just says it’s always wrong 😉 On a serious side note i do wish the entire fitness community could rally around the goal we’re all working towards, instead of this constant fighting over minor differences, i suppose money does change things. At CrossFit gyms there are trainers who coach athletes through functional movements. At LA fitness, for $10 a month, your choices are to either do bodybuilding movements or try to learn how to do functional movements without coaching. I can’t seem to reply to your comment so i’ll reply to mine. That’s exactly the point i’m making, I would take all that CrossFit has to offer hands down. I will absolutely agree with you that Olympic lifts and functional movements are far superior than doing bicep curls. However it’s not worth it to me to pay 140 dollars extra a month and then be required to come in at a certain time and do a set workout (i don’t have my level 1). I’ve been doing CrossFit since the beginning and i’m afraid that it’s success will also be it’s destruction. Too many boxes = either higher prices for fewer customers, or some of them will go out of business. This is the best case scenario, it’s simple economics. The worst case is that people simply won’t keep paying for a product that is 1500% more expensive than the alternative, no matter how much better it is. If it was me i would stop at 10,000 boxes and focus on quality over quantity (i’m hoping the new cert setup is working towards that). Otherwise i’m afraid CrossFit will collapse in on itself. Then again i’m just some guy that likes lifting weights, i hope i’m wrong. Except CrossFit is free. You can go to http://www.CrossFit.com and try the workout of the day in your garage. You never even need to visit an affilaite, and yet hundreds of thousands (millions?) of people do. Obviously they think it is worth the monthly fee. I will add one point….. I have a personal passion in helping our global community fight obesity. I have witnessed multiple lost opportunities over the past 15 years through the mistake of compromising discipline for the short term gains, that end up in long term net losses. Creating an artificial tipping point in popularity through any means is a marketers game. And that is the operative word , GAME. Just as it is for the grant bludging academics and “industry leader” leaches. For them it is a game of egos and bank balances. CrossFit was meant to be a Battle to win a War. But all I see is panic and reactionary tactics.